Original, limited edition lino print. 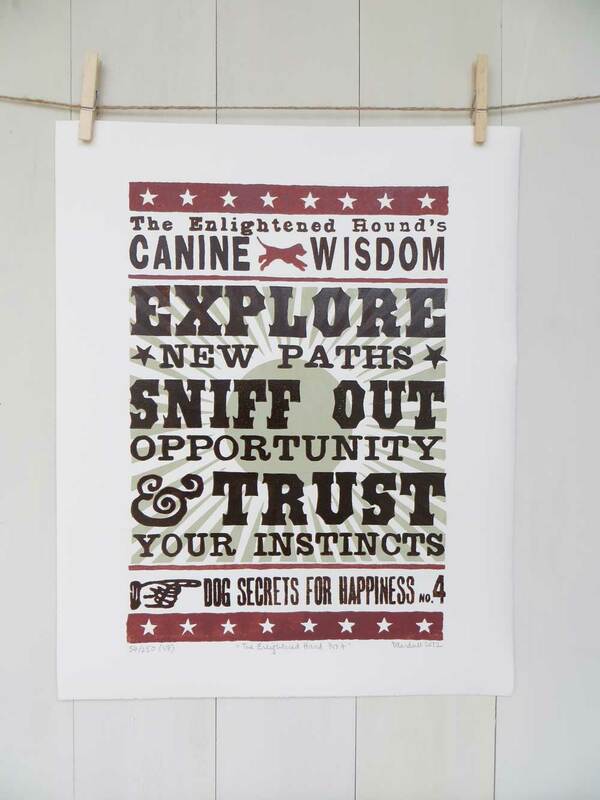 Hand-printed with traditional linseed oil ink in 3 colours on acid-free 175gsm paper. Received prints today and they are GREAT!! Can't wait to get them framed and hung. These will be my inspiration for starting each day :) Very nice work! 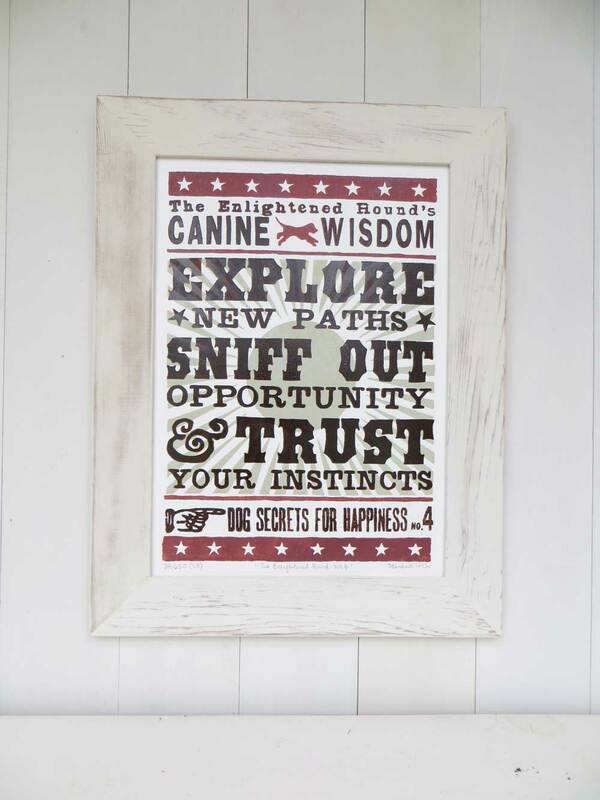 This print celebrates the way dogs embrace life and never let an opportunity pass them by... always guided by their instincts. 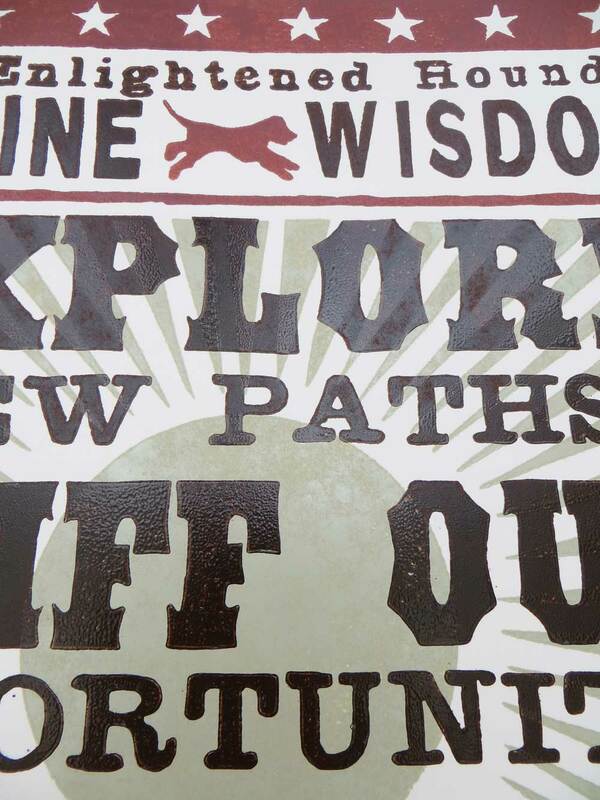 It is a reminder for us to make the most of life’s opportunities and try new things, however in our scientific world, we humans can be quick to dismiss our gut feelings without concrete proof, yet they often turn out to be correct.